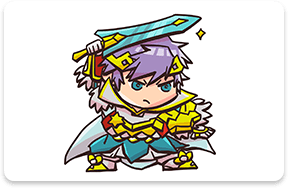 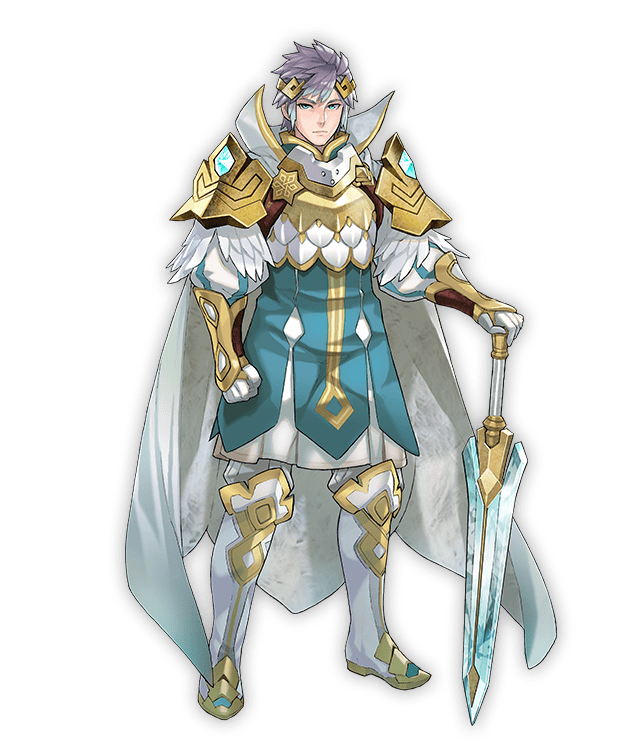 Hríd is the first prince of Nifl, a land watched over by a legendary ice dragon. 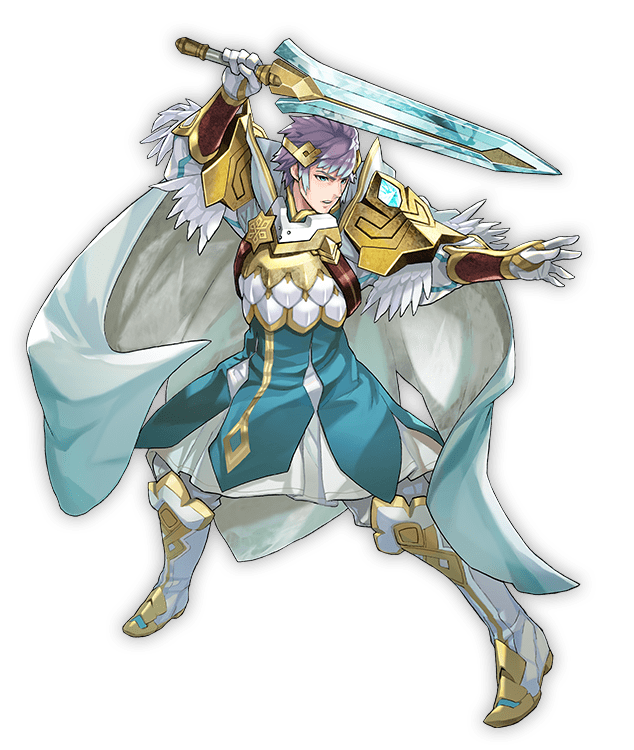 Being the elder brother of Gunnthrá, Fjorm, and Ylgr, Hríd is totally devoted to his responsibilities. 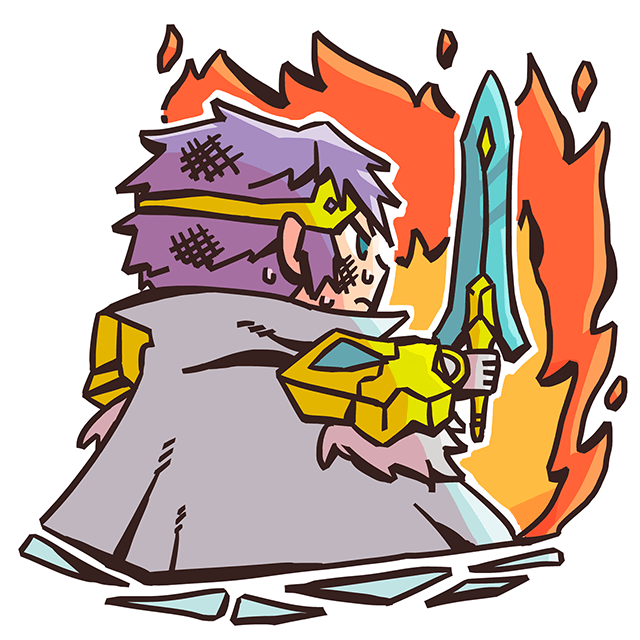 After the attack by Múspell, the Kingdom of Flame, the surviving members of the royal family were scattered. 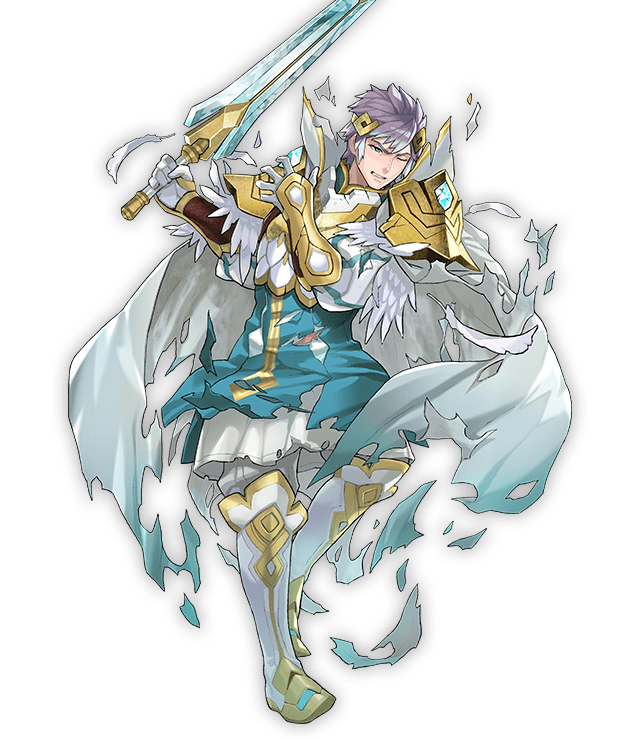 But even still, Hríd struck out alone to take on Surtr, the king of Múspell, and try to restore peace to Nifl. 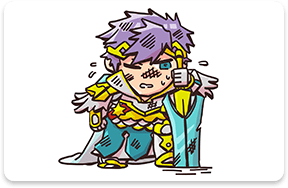 No matter how dire the situation is, Hríd never gives up. 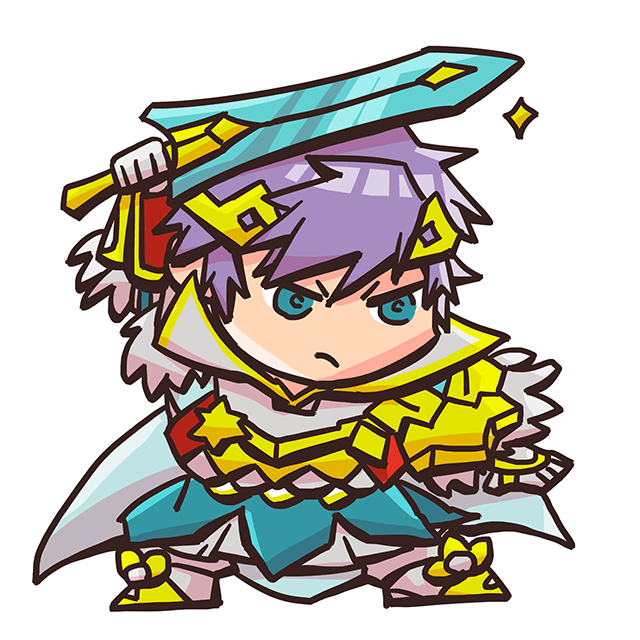 That’s the kind of spirit that makes him a Legendary Hero! 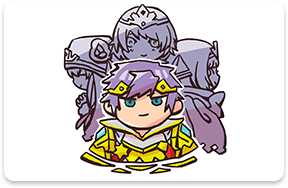 The eldest princess of Nifl and Hríd’s younger sister. 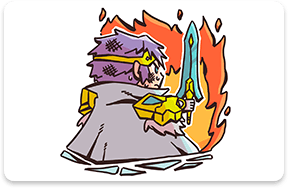 When the family was scattered after the invasion by Múspell, she hid herself in a shrine. 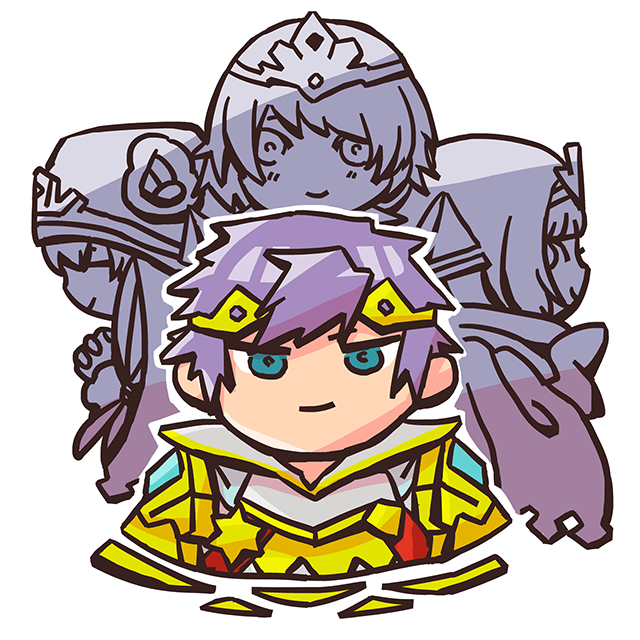 The second princess of Nifl and the middle of the three sisters. 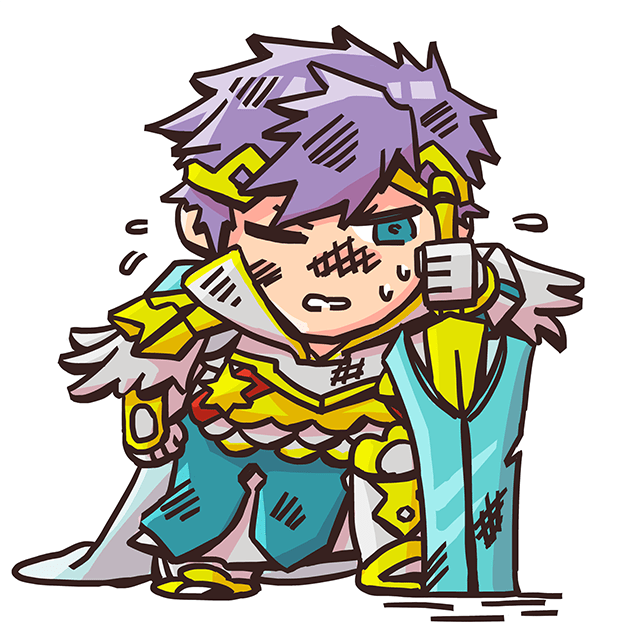 Separated from Hríd after the invasion by Múspell, the two were eventually reunited, and they fought alongside each other to save their kingdom. 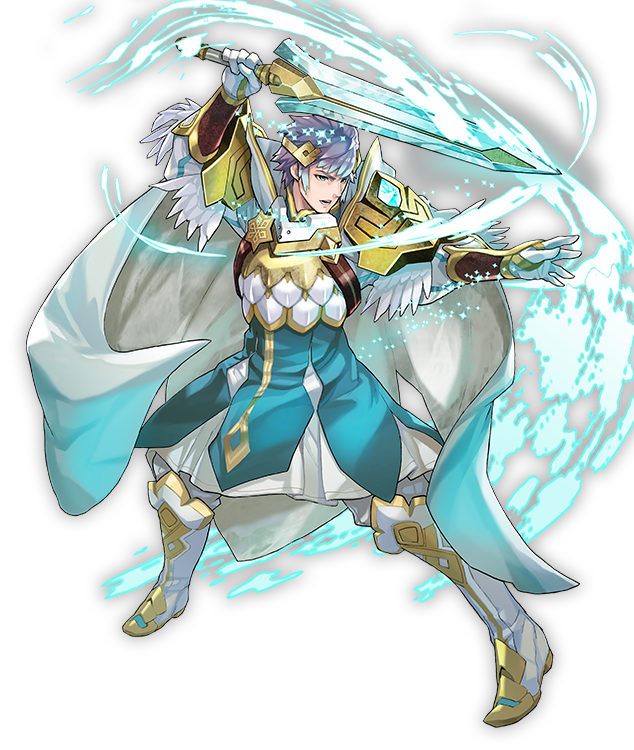 Hríd’s youngest sister, the third princess of Nifl. 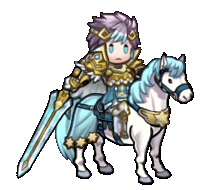 Though separated from Hríd after the invasion, they were later reunited.